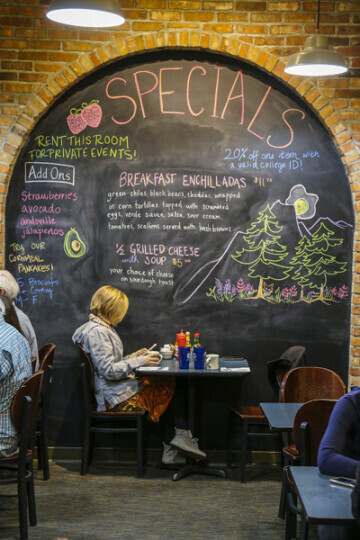 Tucked away in the heart of Downtown Bozeman is Main Street Overeasy, an eatery known for amazing breakfasts for the past 20 years. At the beginning of 2018, new owners Nick Rogers and Michelle Dodge took the reigns of the restaurant from the family who began it all, the Carrs. 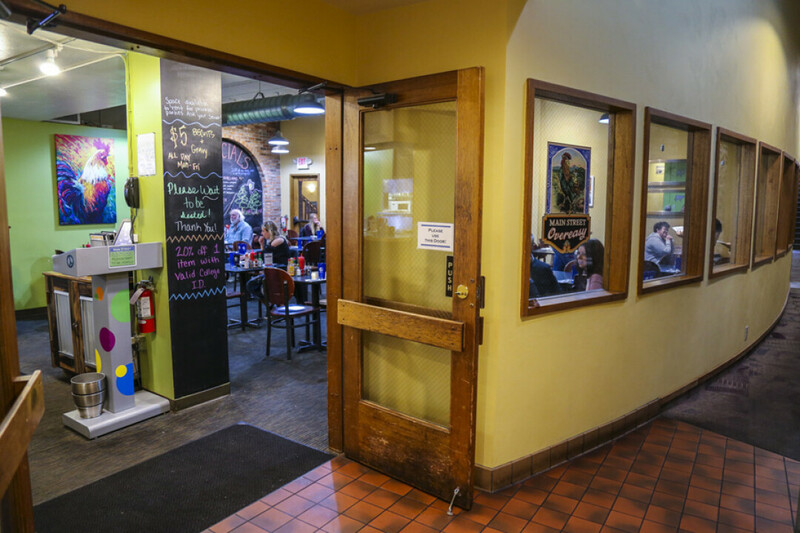 If it has been awhile since you’ve been to the 131-year old building at 9 E. Main Street that houses one of Bozeman’s oldest breakfast haunts, it’s time to get back to MSO. Bozeman Magazine: Our usual first question doesn’t really pertain to Main Street Overeasy because it’s been here for a very long time..
Nick Rogers: The Carrs are who owned Main Street Overeasy previously, and they built a beautiful thing here; I cannot take credit for that. We just kind of brought it back to life. They created the menu, they created the name, they built this for 19+ years, and they did a great thing. I’m blessed, and she’s blessed to have walked into this. We signed the papers and the keys got handed to us on January 2, 2018. BM: What made you want to get into the restaurant industry? NR: I had been working toward someone else’s financial success, and not ours, so we decided that we should have something of our own, and we started looking. We both have a strong restaurant background. I spent 14 years in restaurants, from dishwashing to waiting tables to management, all the way across the board. We know our way around a restaurant; we knew we could step into a restaurant and hit the ground running. We already knew what it took, what it takes to make people happy, and what it takes to make delicious food. I have a passion for it, and so does she. I love the social aspect, leading, and creating an environment where people are happy. It trickles down from the top. MD: [For me] it’s the hours. We have two kids; the hours of [the restaurant] being open compared to the job that he was working previously. It was just really hard because he was either gone, or gone until 6:30 at night and their bedtime is 7:30. It was really trying for him and hard for us as a family to do that even though a lot of people do it. NR: You miss the games, and you can’t get that back. I can’t go back and try to go to a soccer game that I missed. With this, we close at 2 p.m. and we are done by 3. So, we can pick the girls up from school, and things like that are good for the family, and it’s just wonderful. BM: What makes Main Street Overeasy unique in the Bozeman Food Scene? NR: Well, it’s a staple here, not thanks to me, thanks to the Carrs. 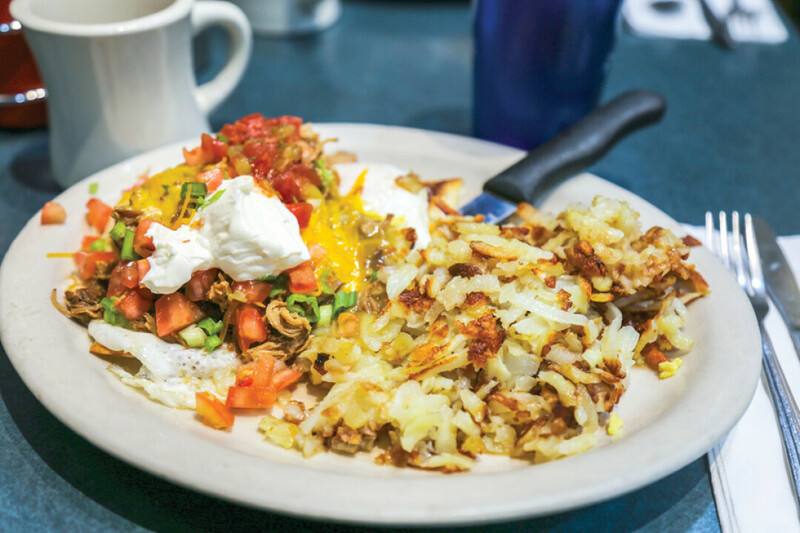 It has a reputation of huge, hearty portions and an old-fashion style breakfast. A lot of early morning restaurants are taking a different path, and we still offer things like that. I hear the term ‘hidden gem,’ and you kind of have to find out about it, because you can’t just walk by the window and see a bunch of people eating. Rather than hinder us, it helps us. People find it, and they are ecstatic. NR: Thanks Jerry! So he’s been coming here from the very beginning. From what I’m told, he used to have a brass name plate on his seat, you know, one of those regulars. He’s just an amazing person. It feels like another family [with our regulars], and it is, it truly is. BM: What do you offer that other places don’t? NR: We probably have the cheapest biscuits and gravy with two eggs in town. A lot of the things that we make are from scratch. Our staff comes in at 4 in the morning and starts making hand-folded biscuits, gravy, hollandaise, everything is from scratch. Some people that come on a regular basis, they feel like it’s theirs. I want people to feel that way, because it is. It’s who we’re here for, we’re here for them. BM: What do you want people to experience when they step through your doors? NR: I want them to have the best experience that they have all day. No matter what goes on in their day, I want this to be what they are still thinking about when they go to sleep at night. NR: You want to go for a good feeling. That’s why we all go out to eat, we want good tasting food, we want to be treated nice and with respect; so, you have to create an environment where the servers give that to the guests. The goal here is to be sure that everyone is happy before they leave that door, no matter what it takes. BM: What do you enjoy most about being part of the Bozeman community? MD: We love the people here. And, we get to find out what Bozeman wants. 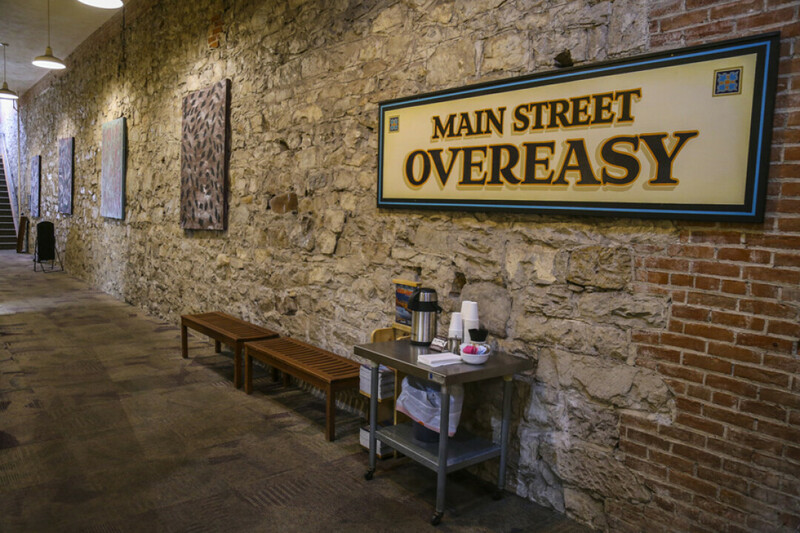 In our own Main Street Overeasy way, we give Bozeman what they want. 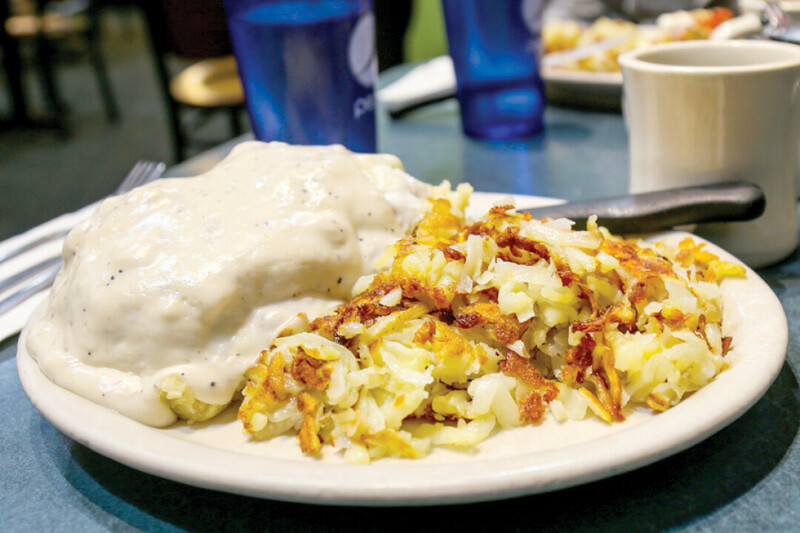 NR: We love local stuff; our hash browns come from Whitehall, MT. They grow them and cut them there. We get them in three times a week, so they are fresh. Locally roasted coffee from Yellowstone Coffee Roasters. We love to support local as much as possible. That feels good, #1, to be partners with a lot of people in town, That’s how I look at it, as a partnership. And, you want to serve that stuff top notch because it reflects on them, too. BM: What is your most popular dish? NR: I would say our Eggs Benedict is one of our most popular dishes. The Yellowstone Bison Scramble, every day we make home-made Bison sausage here in-house, and the scramble is one of our most popular dishes. MD: People that are hungry will order the Jim Bridger; it comes out and it’s a lot! BM: Is there anything coming up that you would like our readers to know about? Main Street Overeasy 9 East Main Street Downtown Bozeman, MT OPEN 7 Days a Week 7am - 2pm Serving Breakfast & Lunch mainstreetovereasy.com and on our Facebook page, or stick your head in and see what’s on the chalkboard. Please do stick your head in sometime soon and see what Nick and Michelle have cooking!